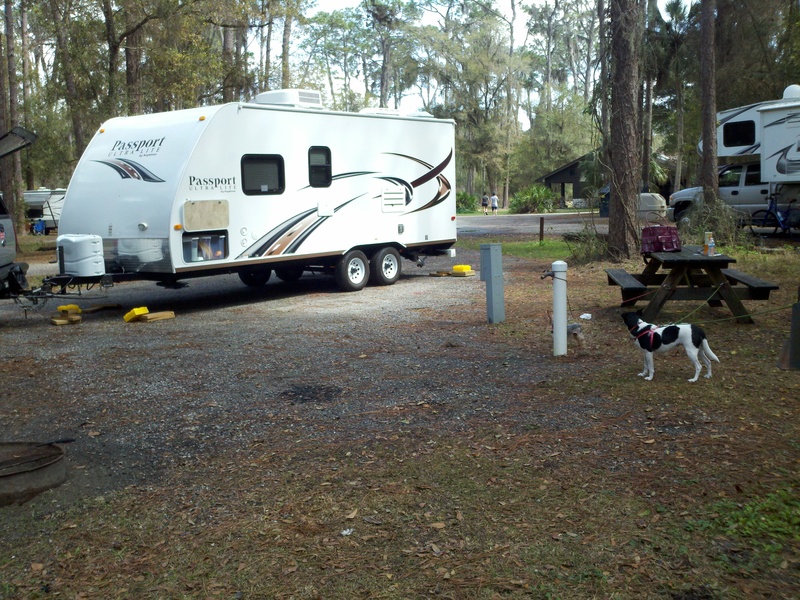 We first stayed at HRSP this past February. 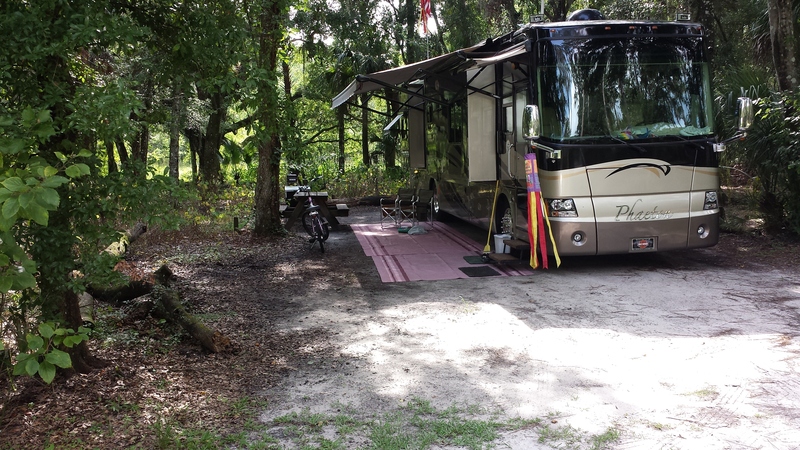 We reserved a pull-through site, only to arrive and find that the way it was configured, how we had to park to access the water and electric left the trailer door and awning on the opposite side of the trailer from the picnic table and fire circle. (Site 51-D, FYI.) Live and learn. 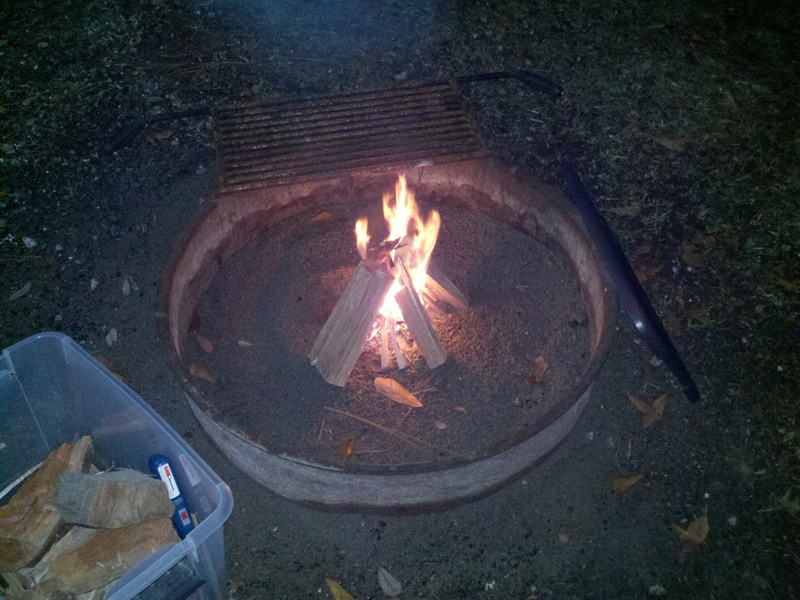 Steve built me a campfire, using all the skills he’s acquired in his more-than-a-decade of Boy Scout camping and leadering. 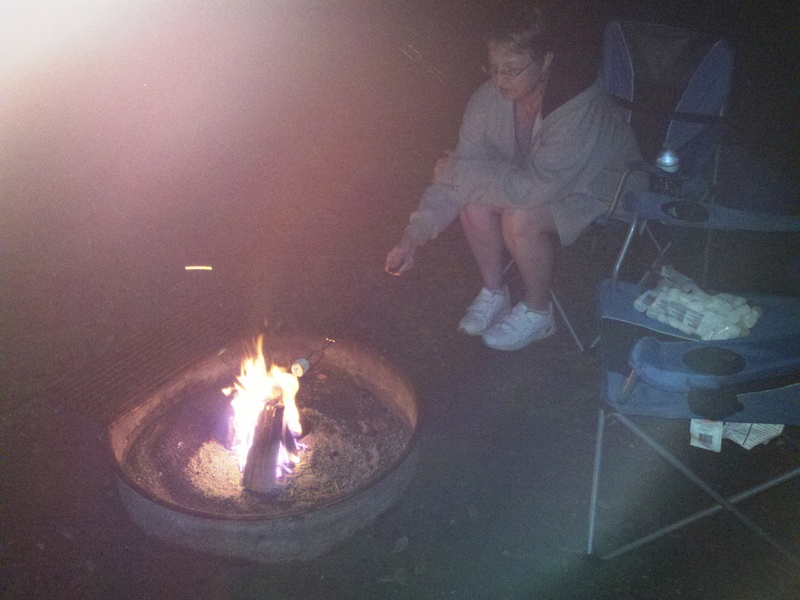 And I had my first roasted marshmallow in I don’t know how long. 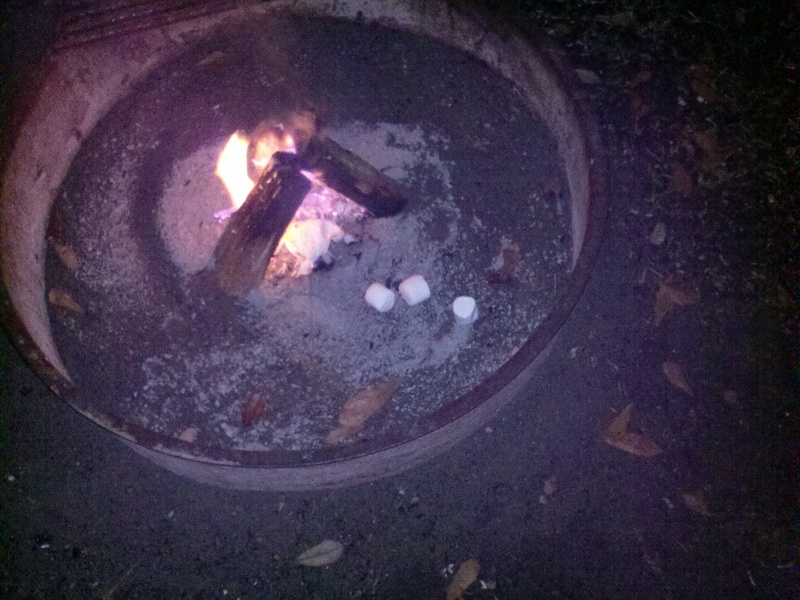 Fortunately, there were only a few marshmallow casualties. 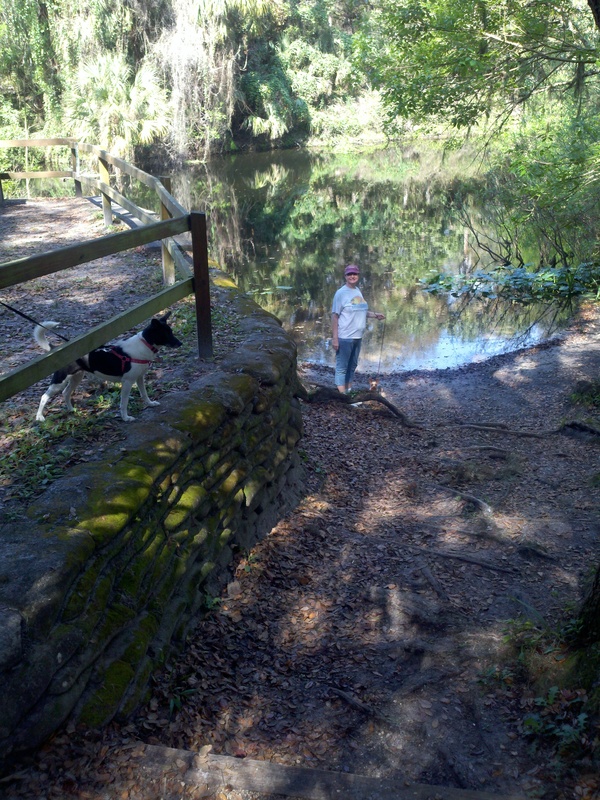 Our trip this past weekend, though (Site #112 – much better), it was too wet for a campfire. 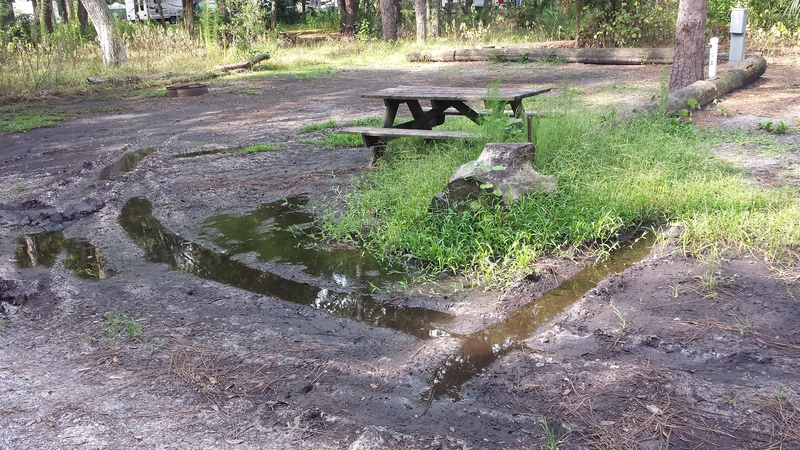 Our site didn’t have standing water, but it was kinda muddy and the mosquitoes were relentless. 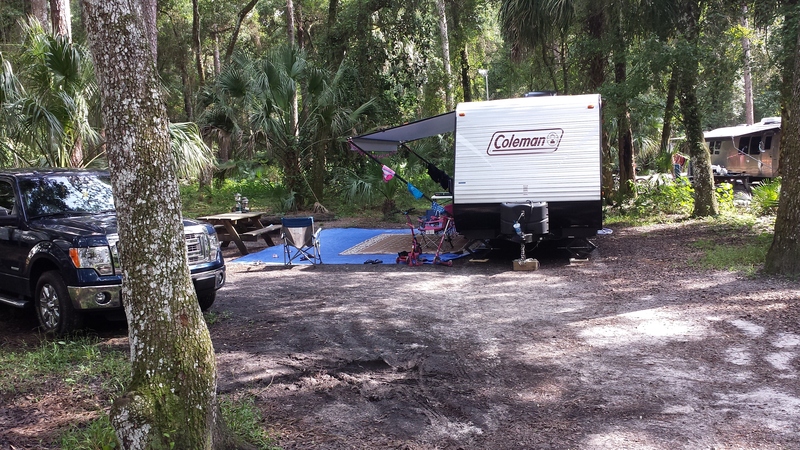 Not our campsite, thank goodness! When I took Sophie for a quick walk, I noticed some of the other campers had planned ahead for the possibility of muddy ground. 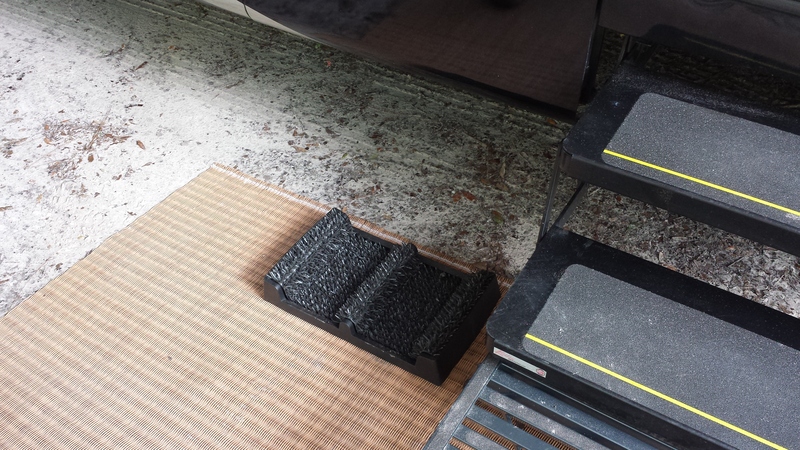 One fellow camper proudly showed me his new bootscraper, another thing we’ll want to get, I’m sure. 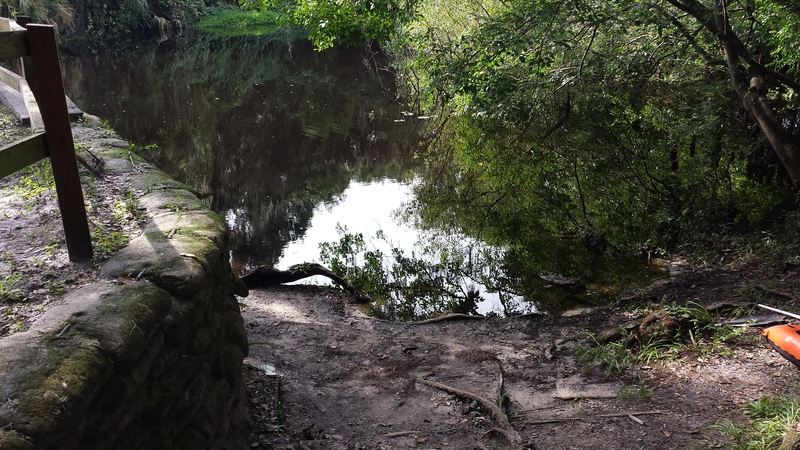 Since we’ve had all the rain lately, the water level was quite a bit higher. 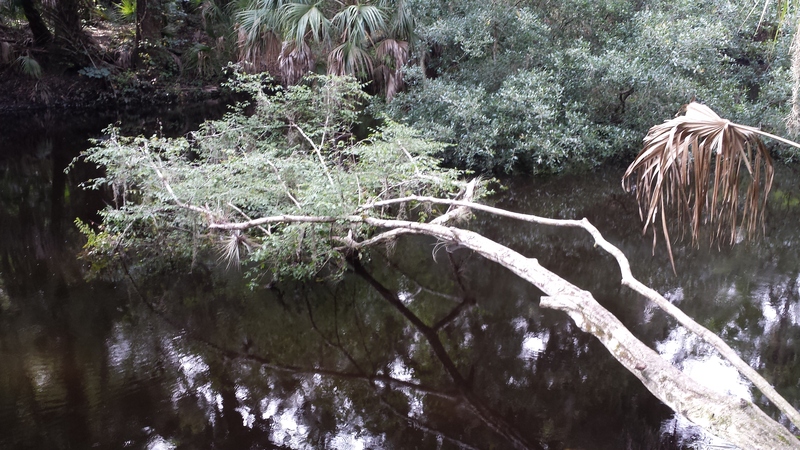 I thought this tree looked kinda interesting, sticking out from the bank parallel to the water. As soon as Sophie and I stopped for me to take this photo, though, the mosquitoes swarmed us and it was the only shot I could get. The Camp Host whiteboard showed a Saturday night Campfire program. 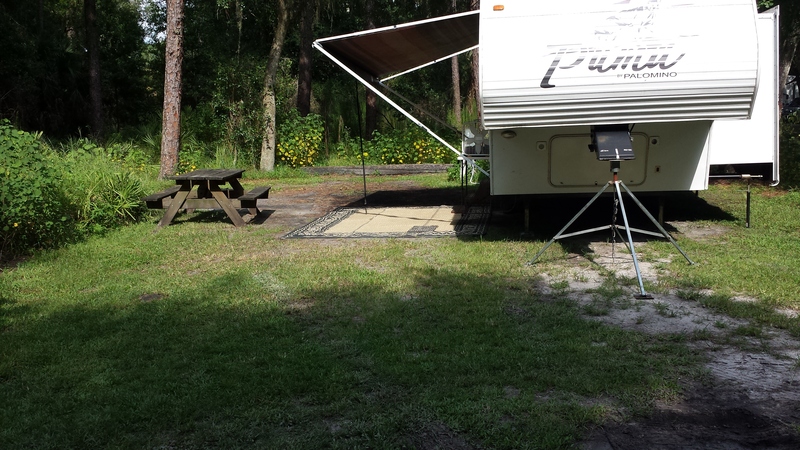 When I called the office for time/topic, the ranger told me it was a tram tour of Ft. Foster and the tram would pick me up at my campsite!